Published Nov. 16, 2018 at 9:02 a.m. While I can't provide any hard data, anyone who has visited art museums anywhere in the world can attest that people of color are typically under-represented in them. Milwaukee Art Museum's new "Family Pictures" photography exhibition, on view on the Herzfeld Center for Photography and Media Arts gallery through Jan. 20, is a step in the right direction. Occupying the entire lower-level photography galleries, the show includes works by an intergenerational group of photographers, from the late Roy DeCarava and Gordon Parks to LaToya Ruby Frazier, Lyle Ashton Harris, Deana Lawson, and Carrie Mae Weems. "Family Pictures" was organized by the Columbus Museum of Art in Ohio, but for its Milwaukee stop, some additional works have been included. 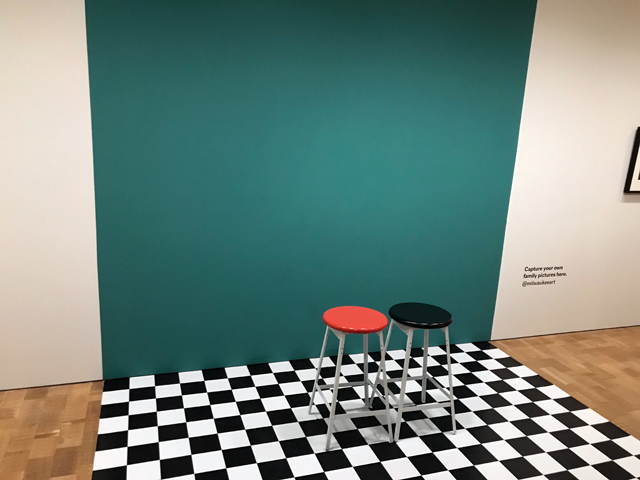 "Museums must broaden their collections and exhibitions to show diverse histories, viewpoints and narratives," says Lisa Sutcliffe, MAM's Herzfeld Curator of Photography and Media Arts. 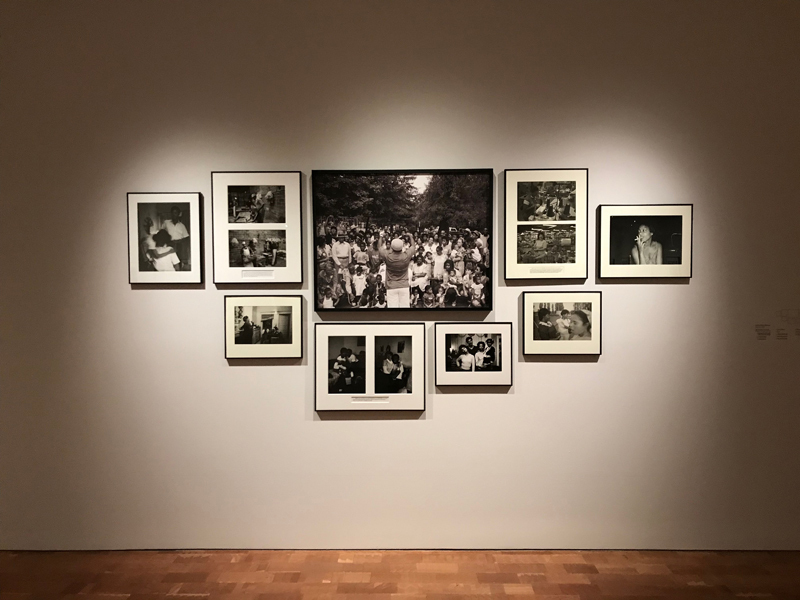 "'Family Pictures' provides an opportunity to examine the ways in which family has been a vital force in shaping the African-American community from the Civil Rights era to the present moment." 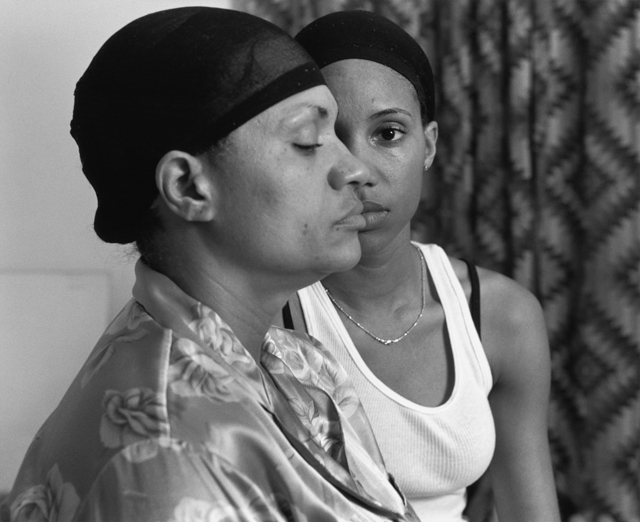 LaToya Ruby Frazier, "Momme," 2008. Gelatin silver print. Courtesy of the artist and Gavin Brown's enterprise, New York. In a way, says Sutcliffe, the show – with its endearing portraits of grandparents with grandchildren, charmingly mundane everyday household scenes and other familial images – is both a complement and a counterpoint to "The San Quentin Project: Nigel Poor and the Men of San Quentin State Prison," which is also currently on view at the museum. "It builds on themes highlighted by 'The San Quentin Project'," Sutcliffe says, "which underscores the role of personal narratives and everyday stories to more fully represent a complex and nuanced understanding of human lives." In "Family Pictures" we see images of African-American family life taken not by outsiders, but by African-American photographers. This desire to represent one's own people is, of course, not a new impulse among black photographers, as the show reminds us. The first vetrine inside the exhibition houses a copy of a book DeCarava published with Langston Hughes in 1955, called "The Sweet Flypaper of Life." "DeCarava was the first African-American artist to win the Guggenheim Fellowship," notes Sutcliffe, "and he used the money that he won to make photographs in Harlem that would refute stereotypical pictures made by outsiders who were mostly white, coming in to make pictures of Harlem life. "He took these very thoughtful and sensitive portraits of his family and friends. He was already making photographs (pre-Guggenheim) ... already making this kind of portrait of his surrounding community. One of the nice things about the show is that you trace the evolution of what family means to people and how you define family. From neighborhoods to nuclear families to core communities to the sort of family we choose based on who we love." The result is a collection of typically intimate glimpses into family circles, as well as tender portraits of loved ones. 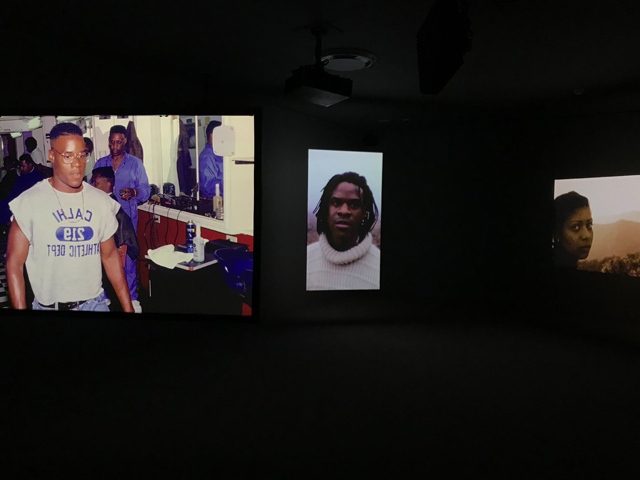 We also see a cycle of images taken on visits to see a family member in prison in which, strikingly, the visitors are always changing, wearing new clothes, while the incarcerated man remains the same. And we see a collection of powerful portraits, arranged in a grouping dictated by artist John Edmonds, that includes some images that conjure paintings from another time and place. At the end is an incredibly emotional video created by Khalil Joseph. "Black Mary" is a heart-rending "music video" set to the sounds of Alice Smith's tortured rendition of Screamin' Jay Hawkins' "I Put A Spell On You." Do not miss it. In the area just outside the exhibition is a posing wall where, for now, exhibition visitors can take their own family portraits and the museum's Josh Depenbrok tells me that he often sees families who don't know each other interacting, offering to take photographs of each other's groups. That space will be staffed by artist-in-residence Corey Fells, who will take free photos in front of the posing wall 1-4 p.m. Wednesdays, Fridays and Saturdays, and 2-7 p.m. Thursdays, Dec. 13-16 and Dec. 26-30, and will share digital copies of the photos, again for free, via his website. 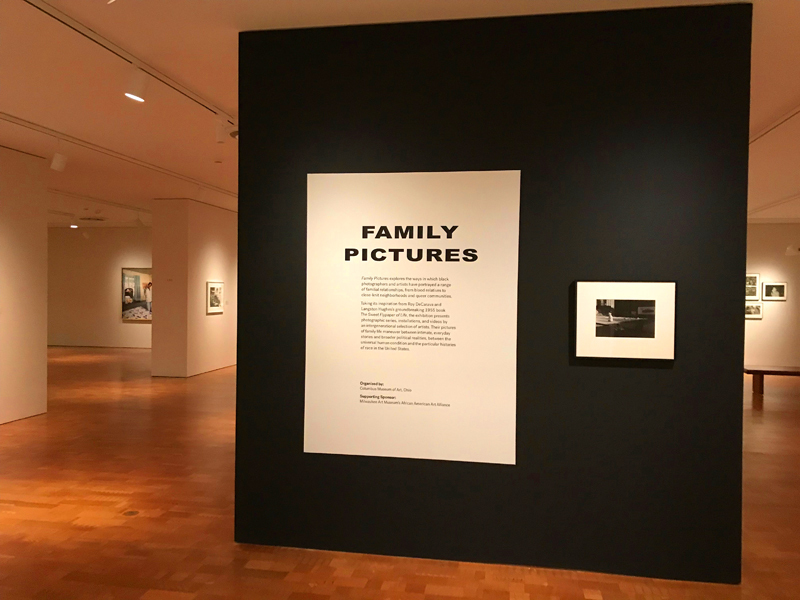 "'Family Pictures' is the sort of exhibition that visitors can appreciate on a number of levels: artistically beautiful, socially meaningful and photographs people can personally connect to," said Margaret Andera, interim chief curator and curator of contemporary art, Milwaukee Art Museum, in a statement. "The exhibition's focus on depictions of families nicely rounds out the season of home at the museum."